Ready to get lost in rainbow fields with rows and rows of beautiful tulips? Tulips of the Valley Festival returns this Spring with a new location for its grand reopening in Chilliwack, BC. The festival began in 2006, and it has only grown since then, with approximately 30,000 visitors in previous years. The Tulips of the Valley Festival is a partnership with Onos Greenhouses, which owns and grows the festival tulips, then uses the bulbs to produce tulips for sale in Western Canada. 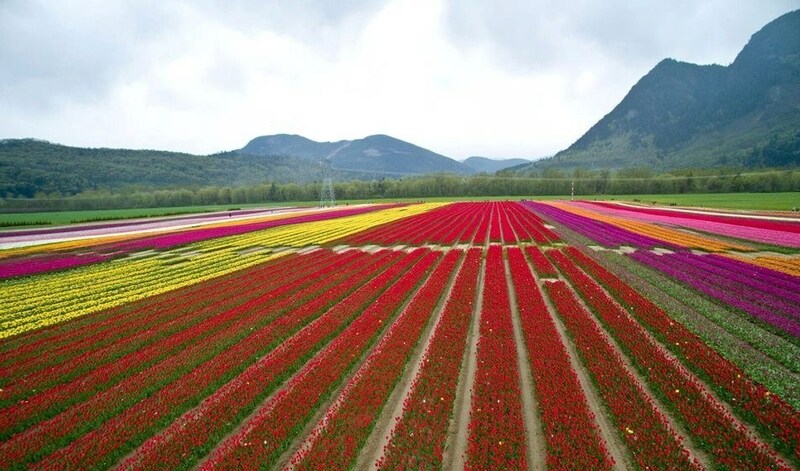 Onos Greenhouses leases the tulip fields from a local farmer in Chilliwack, working in partnership with the farmer to showcase the beautiful fields to the community. Due to the Spring weather (or lack thereof ) this year, the best tulip blooming dates are anticipated to be after April 19.